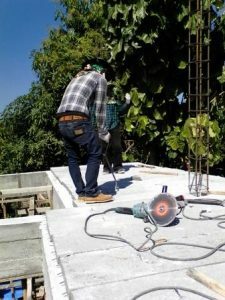 I found the concrete planks efficient and easy to apply to the job. Floors that are not on the ground are usually concrete planks with a layer of concrete poured over them. Concrete planks are ordered to the length you wish and about one foot wide. 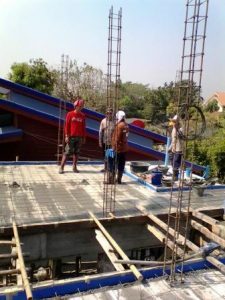 One of the reasons for keeping spans at four meters or below is the concrete floor slabs are common in the four meter length and this might be a maximum length for the standard thickness. Shorter lengths will be made to order, they don’t need to be nominal lengths. 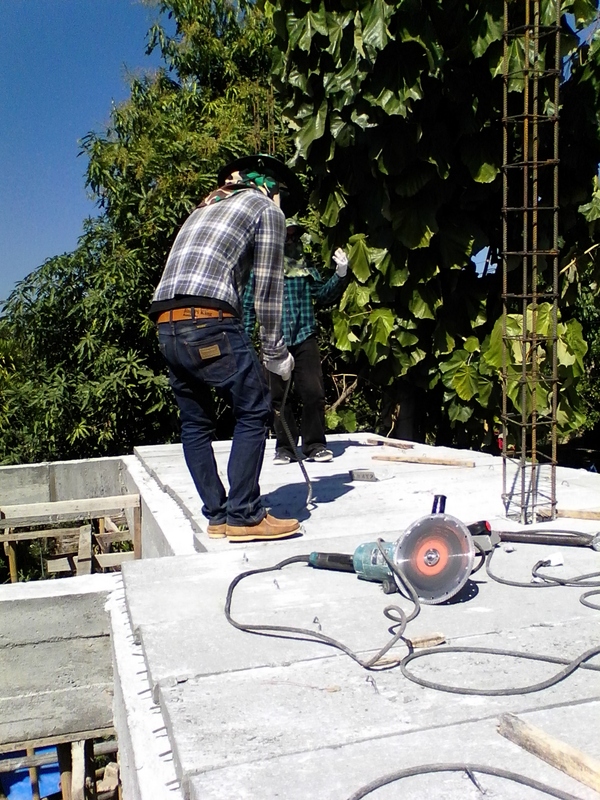 The agent comes to the job site and measures the lengths required. The planks are delivered in the various lengths and about three hundred millimeters wide, one foot wide. The supplier has a team of workers who arrive with a crane and place the planks into position. Small steel stirrups on each plank are welded together so they all stay in position. A wooden support is placed across every open span to support the planks from underneath. Even the shortest spans need this wooden support. 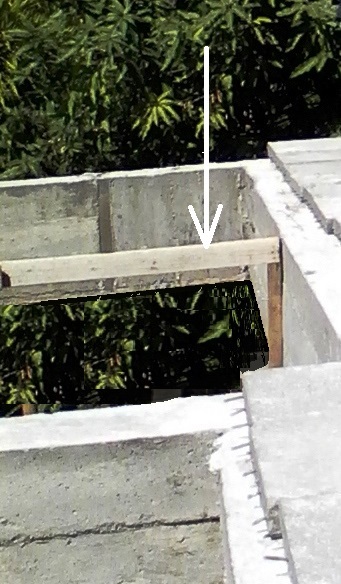 These supports not only help support the plank but help when moving them around so they don’t fall through if one end is not on the beam. These supports stay in place for at least about a week after the concrete floor is poured on top of the planks. A plank was cracked so the workers arranged for another to be delivered for a replacement, this seemed common practice. If the planks are too long, the workers will trim them with a saw. 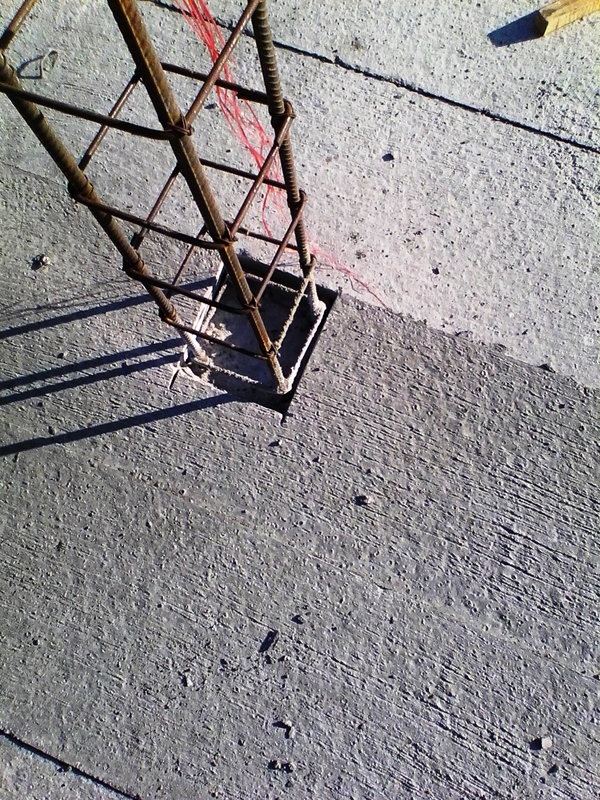 Pieces are notched out to fit around the steel for the piers. 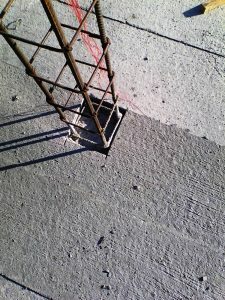 The bathroom floor had been poured with the beams as a solid floor about 100 millimeters thick and was connected to the beams with 8 millimeter round bar tied at 150 millimeter centers in a grid pattern. 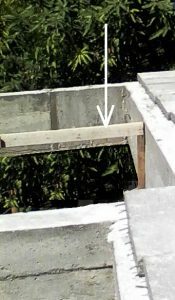 The concrete bathroom floor finished at the same height as the beams. 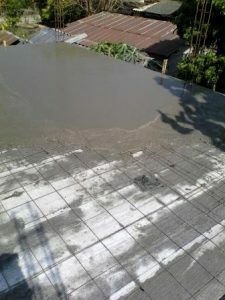 The concrete form work can then be placed around the whole floor, steel in place, concrete poured on top of the planks. 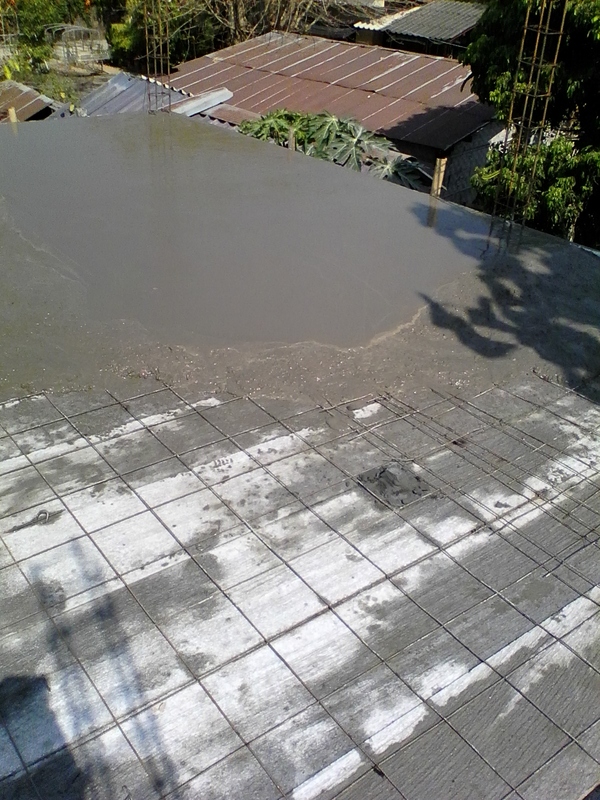 The concrete poured should be 50 millimeters thick or more.